What’s with this FISA Court hassle? The introduction of judges shields the executive branch from accountability. On the gentle summer evening that was last Saturday night, the Justice Department finally made public the October 2016 application for a warrant to spy on Carter Page, a former Trump campaign official. The application’s release kicked off a furious effort by Democrats and their allies in the press to gaslight the American people into disbelieving what they could read with their own eyes. Yet notwithstanding all the sound and fury, its 412 pages—even in redacted form—largely vindicate the principal object of Democratic attack, as described by California’s GOP Rep. Devin Nunes. Back in February, Republicans on the House Intelligence Committee, led by Mr. Nunes, issued a report stating that the Steele dossier, compiled by a former British spy, was “an essential part” of the application for a warrant on Mr. Page under the Foreign Intelligence Surveillance Act. In this Mr. Nunes was supported by former FBI Deputy Director Andrew McCabe, who testified to Congress that without the Steele dossier there would have been no warrant. 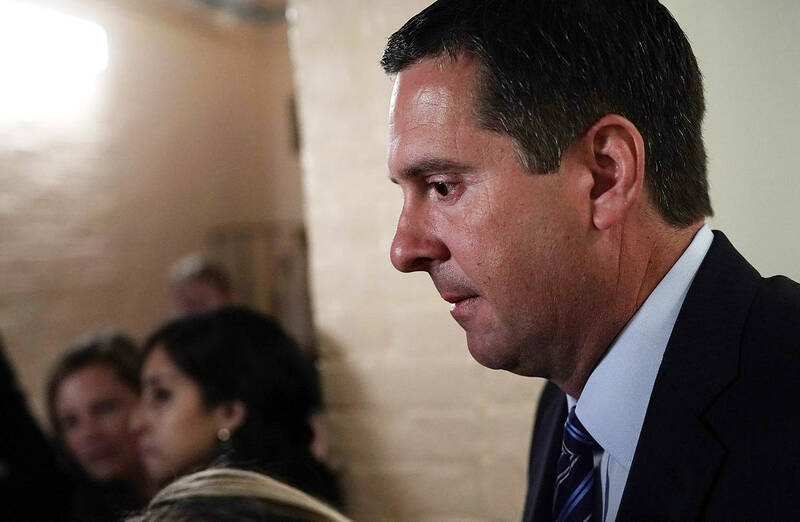 The Nunes report further claimed the FISA application didn’t inform the judge that the Steele dossier was paid for by the Democratic National Committee and the Hillary Clinton campaign. Here too Mr. Nunes has been proved right. Lost in the competing narratives, meanwhile, is the larger FISA scandal. The Page warrant confirms that a FISA court effectively insulates those who deploy the most formidable powers of the federal government from the consequences of what should be an extraordinary decision: spying on a fellow American. Like so many other bad ideas, the Foreign Intelligence Surveillance Act comes out of the 1970s. Senate hearings led by Idaho Democrat Frank Church exposed controversial domestic spying on Americans. Along with the general antipathy toward all things Nixon, it led Congress to enact FISA in 1978 and Jimmy Carter to sign it into law. In the decades since, the nation has become accustomed to having oversight and accountability that should be imposed by the people’s elected representatives fobbed off on special counsels, inspectors general and the like. We forget what a break FISA marked with our history, under which only the president, as commander in chief, was understood to have the power to surveil American citizens without warrants to gather foreign intelligence to protect the nation. The new idea aimed to temper that power by introducing another branch, the judiciary, into this process. As even the redacted version of the document released this weekend ought to make clear, a FISA court is no guarantee against surveillance abuse. To the contrary, it can invite questionable assertions of this extraordinary power because no one is ever really on the hook. In this case, instead of vetting Mr. Steele’s specific allegations, the FBI got away with deeming him “reliable” because they’d found him credible in other cases. Perhaps the redacted material includes some verification of Mr. Steele’s claims. But so far there’s no hard evidence, and Mr. Page hasn’t been charged with anything. Is this really the way an intelligence agency should declare an American citizen “an agent of a foreign power”? When President Trump tweeted Monday morning that it was “looking more & more like the Trump Campaign for President was illegally being spied upon,” the common rejoinder was four judges had signed off on it. Now ask yourself: Would Deputy Attorney General Rod Rosenstein (who signed one of the renewal applications) and others be so quick to put their names on something like this if they didn’t have a FISA judge to give them cover? In the short term, Mr. Trump would serve himself better by forgoing tweets about witch hunts and instead ordering the declassification of documents that would show the American people just what the Justice Department and the FBI did in 2016. In the longer term, Congress should consider getting rid of FISA courts altogether. Because without judges to hide behind, executive officials who order spying on their fellow citizens will have to own those decisions themselves.